Proxima b orbits its parent star every 11.2 Earth days. Over the past two decades, astronomers have discovered more than 3,200 exoplanets, or planets outside our solar system. They’ve found gas giants; rocky, Earth-like planets; and “Tatooine”-like planets with two suns. They’ve detected alien worlds as far as 13,000 light-years away from Earth. But until now, scientists had missed an Earth-size, possibly even habitable, planet that was, at least cosmically speaking, right under our noses. Astronomers announced today (Aug. 24) that they’ve discovered an alien planet orbiting Proxima Centauri, a red dwarf just over 4 light-years away that is the nearest star to the sun. So why did it take scientists so long to introduce us to our neighbor? It’s not because they weren’t trying. “I was looking exactly for this,” said Michael Endl, an astronomer at the McDonald Observatory at the University of Texas at Austin. Endl, who was part of the discovery team, previously led a seven-year campaign in the early 2000s to look for planets with similar masses to Earth’s in the so-called habitable zone around Proxima Centauri using the European Southern Observatory’s (ESO) Very Large Telescope in Chile. Back then, he found nothing. 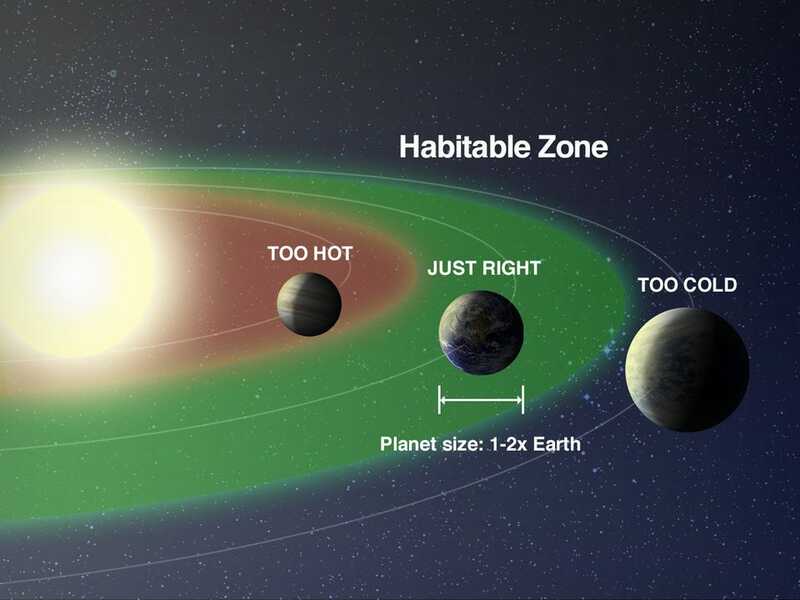 “We could have found everything from two to three Earth masses in the habitable zone,” Endl told Space.com. The newfound alien planet —at just 1.3 Earth masses —flew right under his radar (or telescope). As the nearest star to the sun, Proxima Centauri seemed like a good place to look for exoplanets, which scientists now know are abundant. But until now, campaigns like Endl’s had turned up empty-handed. The new planet, known as Proxima b, was so elusive because it is a relatively small world that orbits a small star —one that’s too dim to be seen from Earth with the unaided eye. Finding this alien world required a dedicated, intensive campaign to detect its very faint signal. Police radar speed guns use this effect to detect how fast a car is moving. Astronomers can do something similar by aiming their telescopes to measure the light of a star, Endl explained. When a star is moving toward us, its light appears shifted toward the blue end of the spectrum, and when it’s moving away from us, the light appears red-shifted. Even a planet as small as Proxima b causes its parent star to wobble ever so faintly. But the tiny change in the star’s velocity is close to the limit of what can be detected with today’s astronomical instruments. But at the time, the data were not conclusive enough to say that Proxima Centauri had a planet. There’s generally lot of other noise in this type of data, Endl said. The signal could, for example, come from the star itself, which is quite active and experiences frequent flares. To rule out these possibilities, Anglada-Escudéthen launched a systematic search involving 30 other scientists, dubbed the “Pale Red Dot” campaign. The name plays off of Carl Sagan’s famous “pale blue dot,” the phrase he used to describe the tiny blue Earth as it appeared in an iconic photo of the solar system taken on Feb. 14, 1990, by NASA’s Voyager 1 spacecraft on its trek toward interstellar space. By contrast, a planet in the glow of Proxima Centauri would be bathed in red light. Anglada-Escudéand his colleagues went hunting for an exoplanet around Proxima Centauri from January 18 to March 30 of this year at the ESO’s La Silla Observatory in Chile. The team’s primary tool was the High Accuracy Radial Velocity Planet Searcher instrument, or HARPS, which normally would be useless at detecting a Doppler signal in a star as faint as a red dwarf. But the survey worked for Proxima Centauri because the star is so close to Earth, Anglada-Escudéexplained. From their observations, the researchers gleaned that the mass of the alien world is roughly the same as Earth’s and that the planet lies in the habitable zone, meaning it just might have the right conditions for life. They still have more work to do to confirm whether this planet actually has an atmosphere or water on its surface —features that would make it more Earth-like. This technique had been attempted at Proxima Centauri before, without any luck. Indeed, discovery team members said there’s just a 1.5 percent chance that Proxima b transits. If it is a transiting planet, however, scientists should be able to measure the spectrum of starlight as it filters through the atmosphere of Proxima b, which could contain crucial clues about the planet’s chemical makeup.